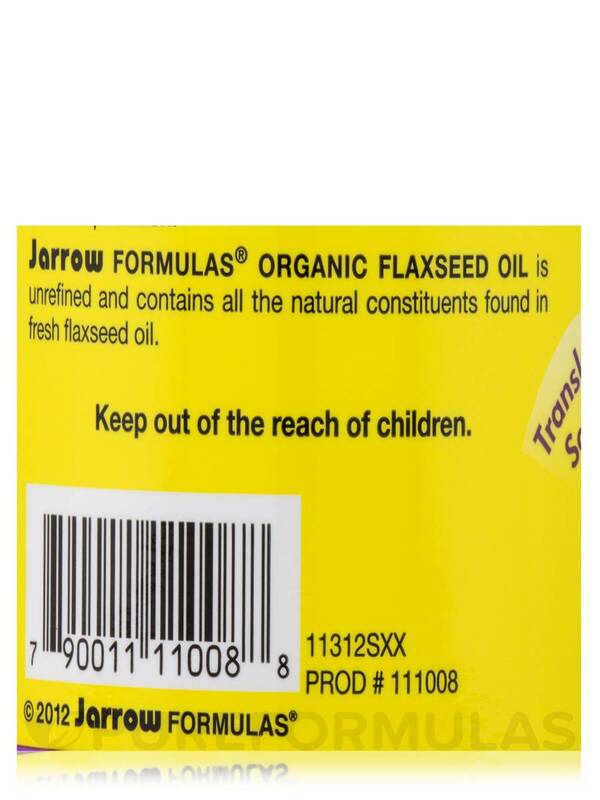 I love this FlaxSeed Oil by Jarrow Formulas. I use it in place of fish oil. Great source of omega 3s. 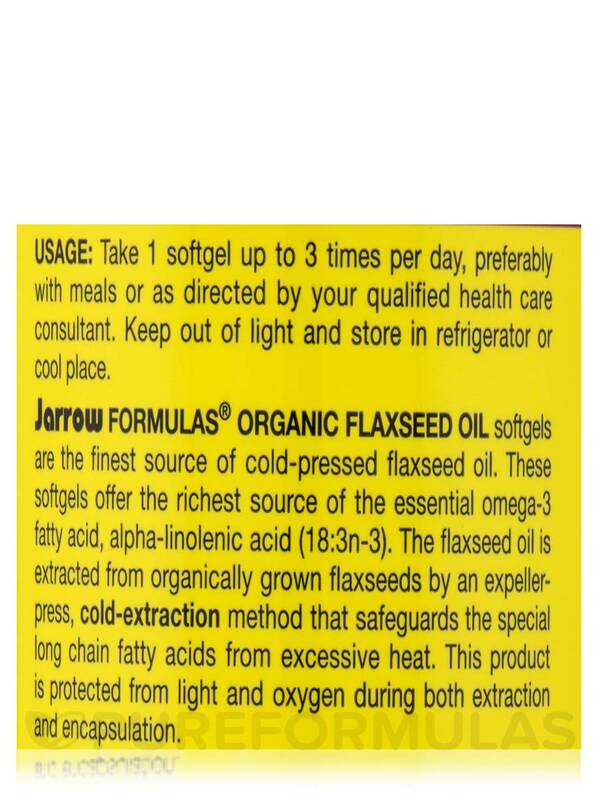 If you are looking for a potentially good source of essential omega-3 fatty acids‚ then FlaxSeed Oil 1000 mg 200 Softgels from Jarrow Formulas® may be a good choice. The seed of Linumusitatissimum plant is called flaxseed. The oil of the seed is said to be rich in medicinal value. Flaxseed oil may potentially help in conditions like cholesterol maintenance‚ rheumatoid arthritis‚ anxiety‚ vaginal infections‚ osteoarthritis‚ BPH (Benign Prostatic Hyperplasia)‚ dryness in the eyes‚ atherosclerosis‚ blood pressure‚ diabetes and attention difficulty. The softgel formulation from Jarrow Formulas® is prepared by a process called cold-pressing. Flaxseed oil is cold-pressed to retain the medicinal values of the oil. This extraction process may help safeguard the long chain structure of the fatty acids. 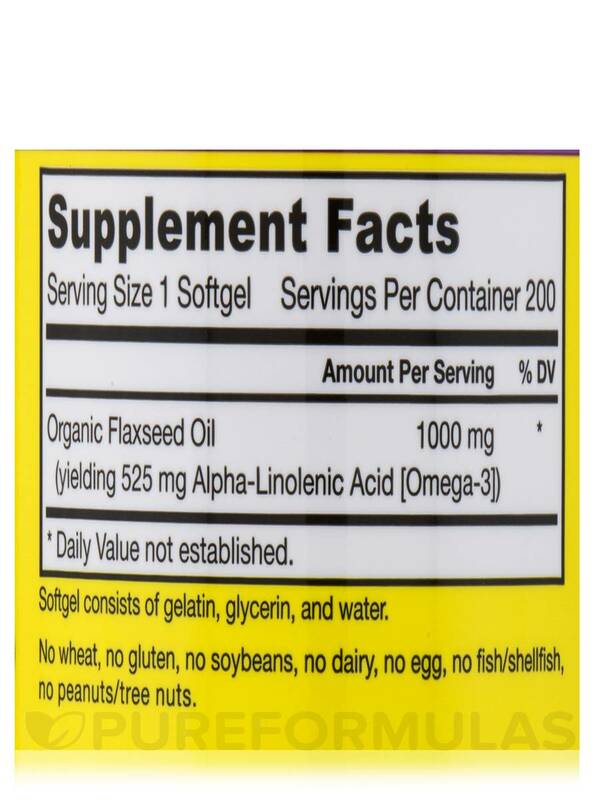 The softgels are said to have high concentrations of essential omega-3 fatty acids and alpha-linolenic acid. Alpha-linolenic acid present in flaxseed oil is said to alleviate inflammation and swelling in the body. Omega-3 fatty acids may help in supporting cardiovascular health. The fatty acids may help in lowering the elevated levels of triglycerides. It is also said that omega 3 acids may help in conditions as it promotes the secretion of the ‘feel-good’ hormones in the body. This supplementary product does not contain the following – wheat‚ eggs‚ gluten‚ soybeans‚ peanuts‚ dairy or fish. 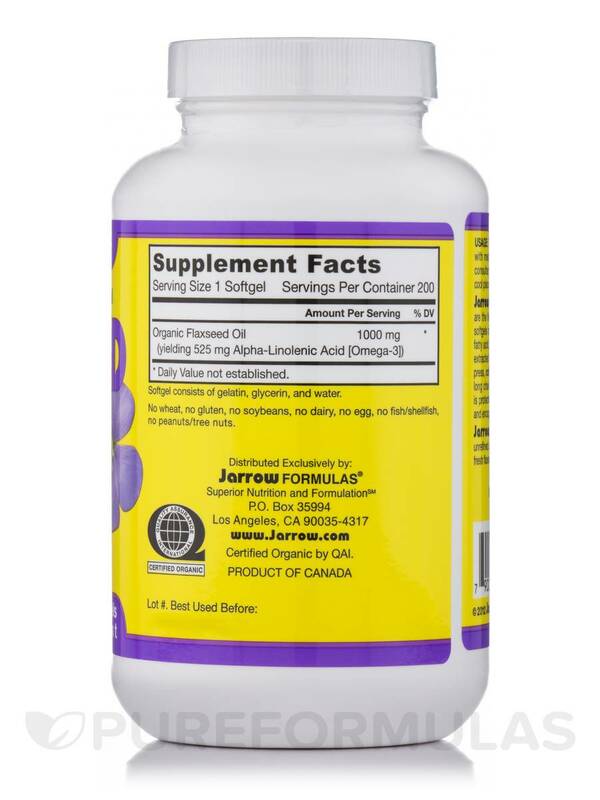 FlaxSeed Oil 1000 mg 200 Softgels from Jarrow Formulas® is a definite must-have in your regular health diet. Softgel consists of gelatin‚ glycerin‚ and water. Take 1 softgel up to 3 times per day‚ preferably with meals‚ or as directed by your qualified health care consultant. Keep out of light and store in refrigerator or cool place. 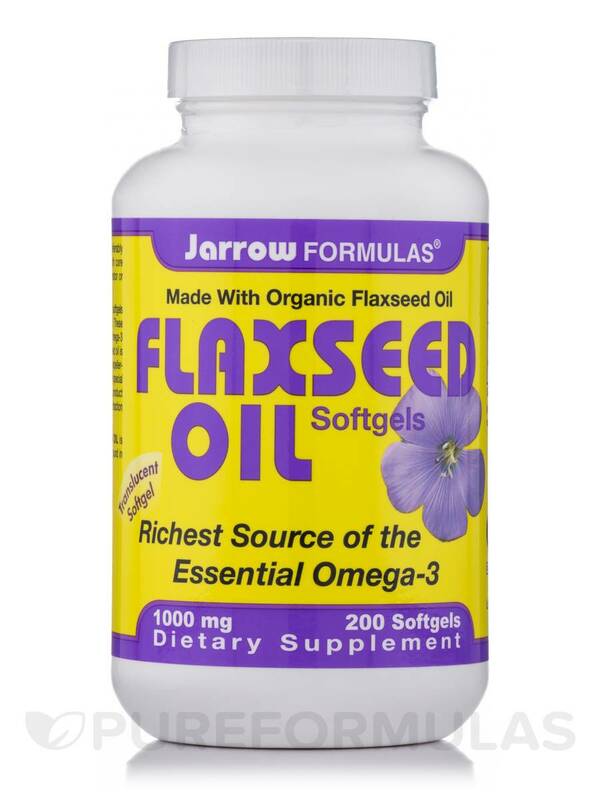 Jarrow Flaxseed Oil 1000 mg is high quality and I've been taking it for awhile, it has many health benefits. Flaxseed Oil is part of my Omega 3 regime that I've started to help with my dry eye syndrome and the Omega 3s have provided relief. 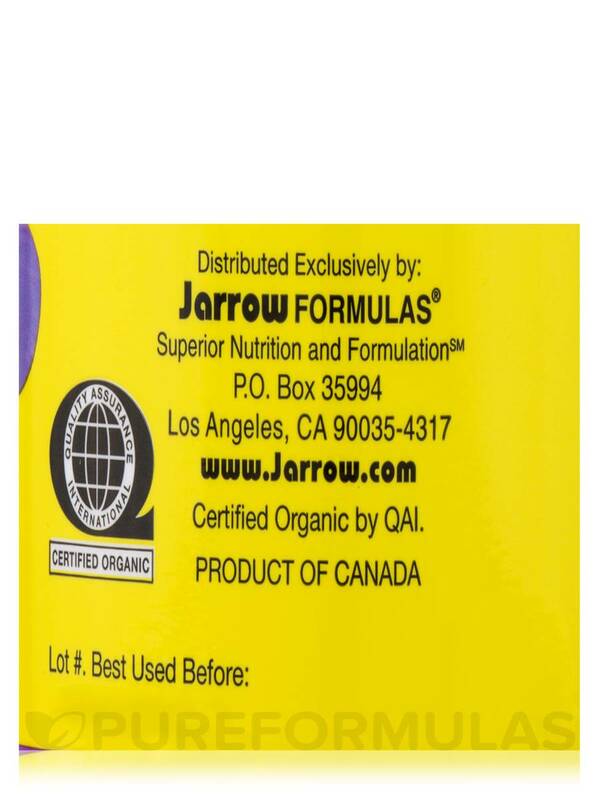 Jarrow Formulas is a brand I trust. Great product to use to get your omega acid! 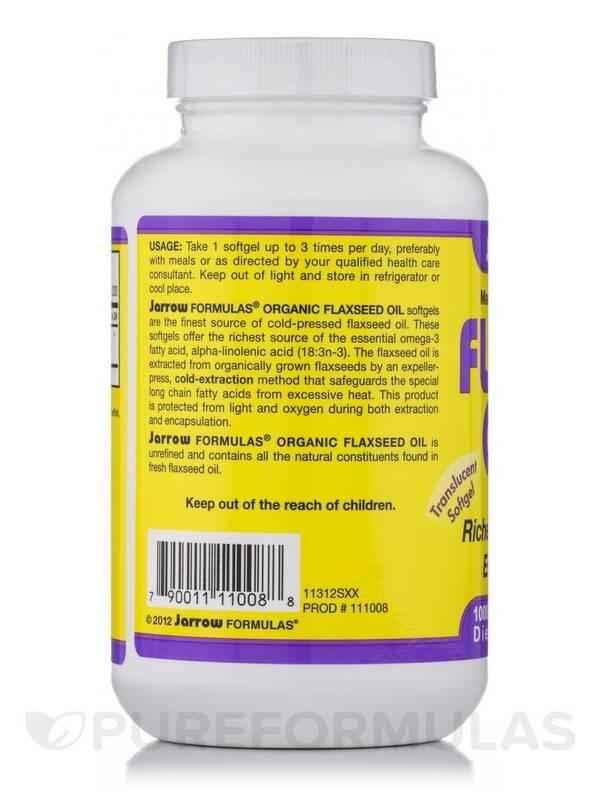 I ALTERNATE FLAXSEED OIL BY JARROW FORMULAS WITH FISH OIL TO KEEP MY GOOD CHOLESTEROL LEVELS HIGH. WHILE NOT A STRICT VEGAN, I DO LIKE THE IDEA OF KEEPING ANIMAL PRODUCTS TO A MINIMUM. BIGGER GEL CAPS, BUT ARE EASY TO SWALLOW. NO FISHY BURPS, AS CAN BE THE CASE USING FISH OIL CAPSULES TO KEEP GOOD CHOLESTEROL LEVELS HIGH.